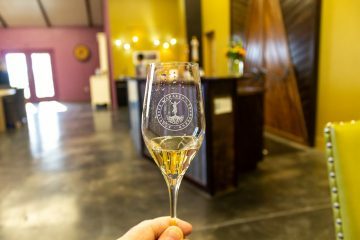 Bob Highfill, the Marketing & Communications Manager of the Lodi Winegrape Commission, introduced us to Eric Donaldson, owner of LVVR Sparkling Cellars and Susan Tipton, owner of Acquiesce Winery. 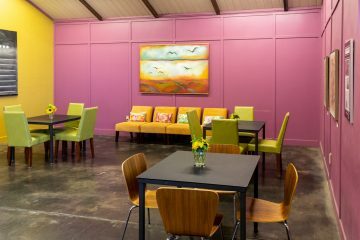 After a fun visit with Eric, we drove a bit down the road to Acquiesce, a winery that projected an image of comfortable elegance, and the thoughtful integration of old and new. Susan greeted us as we entered and seated us (yes!) at a table for our tasting. She told us that each tasting would be paired with small bites. Things were looking good already! We started with her 2017 Grenache Blanc, a happy wine abounding with apple and citrus zest. 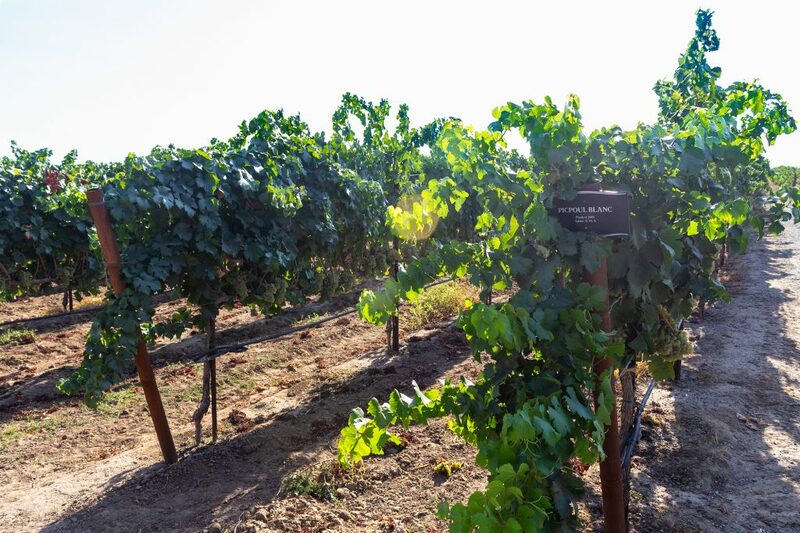 Of the 300 acres in America planted with Grenache Blanc, Acquiesce has 30 of them! Susan said that all of her wines were from estate grapes, and her vines were all grown from cuttings from her favorite place in the world, Château de Beaucastel of Châteauneuf du Pape, France. 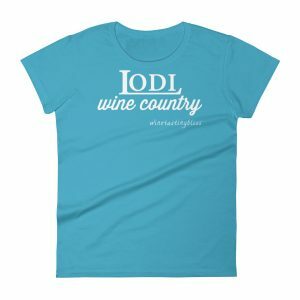 She chose to pair the Grenache Blanc with goat cheese with Meyer lemon and thyme, with a violet flower confit. Next was a 2017 Belle Blanc, a blend of 45% Grenache Blanc, 45% Roussanne, and 10% Viognier. Susan paired this with Provençal mustard, fennel, and curry spread. We enjoyed the floral and pear notes of the wine, with a luscious, lingering finish. A lovely 2017 Roussanne was next. Paired with a tapa of manchego, tomato, and rosemary, the tropical fruit in the wine played a fun duet with the richness of the tapa. A perfect pairing! Susan’s 2017 Viognier was next, paired with a French mango chutney. 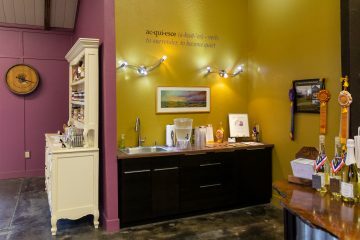 We loved the wine’s soft citrus and pitted fruit flavors, especially after a taste of the chutney. Then, onto the sparkling! The 2016 Sparkling Grenache Blanc was superb, with crisp fruit, generous bubbles, and a pleasantly dry finish that took us back to our summer in Champagne. Susan’s pride in this sparkling was evident, as she described the careful hand picking, whole cluster pressing, and the exacting fermentation process. It was time for a tour! Susan told us that the tasting room was a converted 100 year-old barn. It was difficult to look around the beautiful room and visualize the state that the property was in when the Tiptons purchased it. 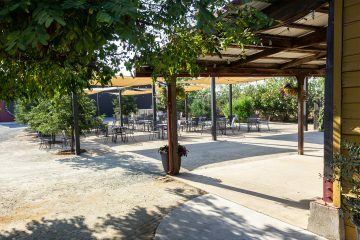 We walked out the back door of the tasting room, past a large covered patio with tables and chairs (the club parties must be beautiful), to the winemaking building in the back of the property. The production building was a study in tidy efficiency. “A place for everything and everything in its place” was clearly a guideline here. The stainless steel fermentation tanks were even fitted with floating top plugs to allow varying levels of juice in the tanks without letting a layer of air into the tank to cause oxidation. 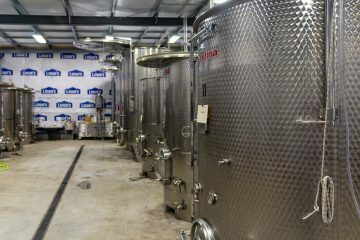 Susan told us that the fermented juice destined for sparkling wine was finished at Rack and Riddle in Napa. Making sparkling wine, especially using méthode Champenoise, is quite complex and requires specialized equipment. 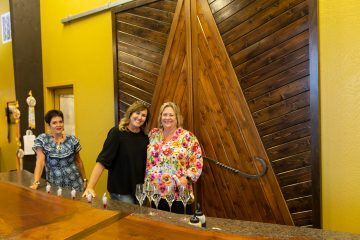 Using Rack and Riddle allows Susan to focus on the artistic side of the sparkling wine business and leave the more mechanical side to others. 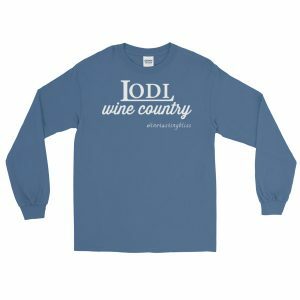 Following our tour, we meandered back to the tasting room, enjoying the sight of Susan’s manicured vineyard, heavy with fruit. We purchased one of everything Susan sold, plus extra sparkling. Who knows if Acquiesce will sell out? We thanked Susan and her staff and set off. One more tasting was before us! 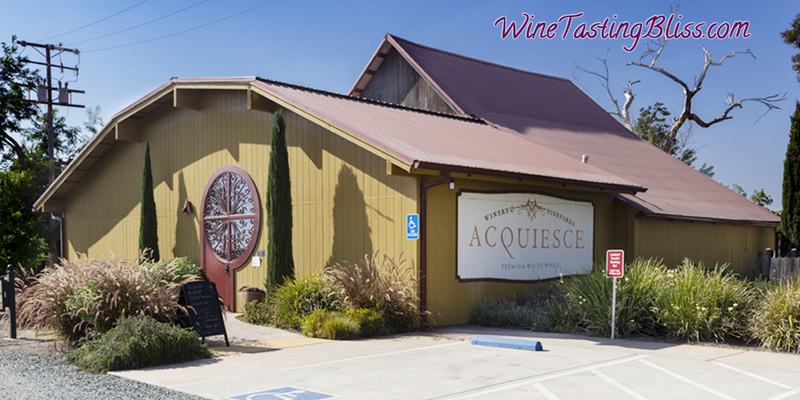 Have you visited Acquiesce Winery? Click to give'em a tweet of support! 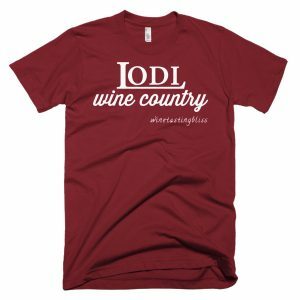 Thanks so much John for the lovely review of my winery! It was a pleasure meeting you and sharing my wines with you. I hope you get back to Lodi soon. We had a fantastic time! Thank you (and your team) for the hospitality. Looking forward to our next visit.